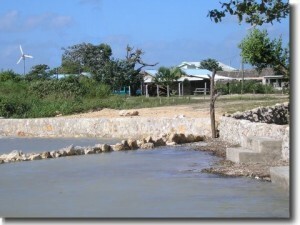 Corozal Bay’s Best Kept Secret! 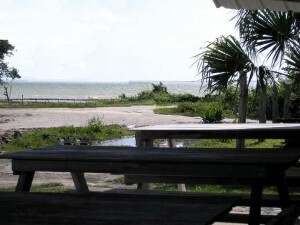 Pirates’ Hideout Guest house sits on the North Eastern tip of Corozal Town directly across from the ancient seaside Mayan ruin of Cerros, which strategically overlooks the mouth of the New River and the Rio Hondo (Deep River). Pirates once used the area where this guest house is as a safe refuge when evading larger Spanish vessels which could only navigate in the high seas and could not follow the smaller pirate boats into the shallow waters of the Corozal Bay. We have prepared this little exotic tropical paradise for lovers, office workers seeking relief from everyday stress, fishing enthusiasts, Maya ruins explorers, rain forest nature trail lovers and especially for the everyday adventurer with a limited budget. Local Belizeans and foreign tourists are always welcome. If you are a shooting enthusiast, then we welcome you to our shooting range by the sea where you can either do target practice or combat survival practice with handguns, shotguns or rifles. Persons who practice or are interested in practicing Martial arts, are welcomed to join our Shotokan group. Kids on the High Seas -- What to Do? What is your must-see holiday destination for 2013? Zealsea timber flooring Brisbane sanding and polishing services.